Maybe you’ve been looking into which careers offer a good balance of job security, liveable income, and the satisfaction of doing good work that helps others, because you like dealing with people and want a job that pays you to do that. Wouldn’t you like to get into a rewarding and respected profession that allows you to feel proud of what you do while bringing home a reasonable income? If you throw the words “Medical Office Assistant” or “Medical Administrative Assistant” into the search bar on Indeed.com, literally well over a thousand jobs across Canada appear. Roughly 10% of those are in Alberta, many of which are in Calgary. The reality for many years to come is that Canada has an aging population. The Baby Boomers are now reaching retirement or already retired. That means a lot of healthcare support is needed and will continue to be needed. And that translates into jobs in that sector. Medical Administrative Assistants are key members of that healthcare system. If you get started on your training soon with the online Medical Office Assistant course at the Centre for Distance Education, you’ll be qualified for all those Medical Administrative Assistant jobs mentioned above. And with the Centre for Distance Education, you can take a Medical Office Assistant course online. That means you have lots of flexibility to keep working while you move towards a stable career. So What Does a Medical Office Assistant Actually Do? Let’s get back to where we started – being good with people. A Medical Office Assistant is often the person that patients and family members see and talk to when they come to hospital wards, medical centres, or doctors’ offices. So it’s important for you to be friendly, welcoming, and empathetic, because many of those patients and family members could be feeling anxious about being at a medical facility. And Medical Administrative Assistants are important go-betweens for doctors, nurses, and patients. They make sure that all of those people are getting the information they need right away. If you choose that profession, this is one of the main ways you would be managing the flow of information. OK, But the Job Isn’t Just About Talking to People All Day, Is It? No, not at all. Talking to people is a key part of the job, but there’s a bit more to it. There’s a lot of information to manage, so you should be comfortable working with a computer and performing a variety of routine tasks. So, as you can imagine, it’s important to have solid time-management and multi-tasking skills. If you’re even just slightly interested in knowing more about this rewarding career, check out our Medical Office Assistant page. Is a Professional Medical Administrative Assistant Career Right for You? Find Out! 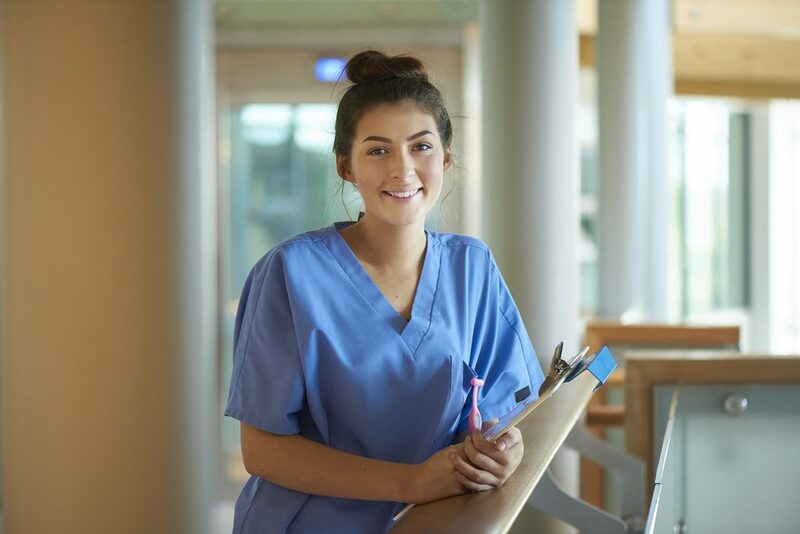 Take the CD-ED "Medical Office Assistant Career Training Readiness Quiz"
This fun, online quiz takes 3 minutes to complete and you’ll get a personalized report. Identify your strengths and social style plus the training and positions you’re best suited for. Get Your "Medical Office Assistant Career Training Readiness Score Now >>"